The Crown is a old coin, with origins dating back to Henry VIII. The English Crown first appeared in 1526. It was made of 22 carat gold (“crown gold”) and has a value of five shillings (a quarter of a pound). By 1551, silver was being used to produce crowns, although gold was sometimes still used. The silver crown was quite large, being about 38mm and weighing about one ounce. Around that time many Europeans countries had similar sized silver coins which made them good for international trade as they were essentially interchangeable. The metal used was 92.5% silver and the rest copper so as to make the coin harder. This hardness, together with a milled edge, made ‘clipping’ (which was cutting slices off the edge to steal some free silver) more difficult. After the Union of England and Scotland in 1707 a new coin, the British Crown, replaced the English Crown and Scottish Dollar. 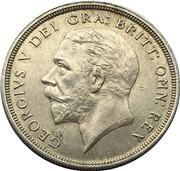 The value was set at 5 shillings and the size was 38mm in diameter and weighed about 1oz as before. Although the coin was always part of the British coin family, its large size made it unpopular for general circulation and the half-crown was favoured as the de-facto largest coin in circulation. The Crown was more-or-less relegated to a commemorative coin. The British economy, especially after the World Wars, took its toll on the crown too. From 1816-1919 the crown was 0.925 silver, this was reduced to 0.500 silver in 1920 and in 1947 the Crown became Cupronickel (75% copper, 25% nickel). 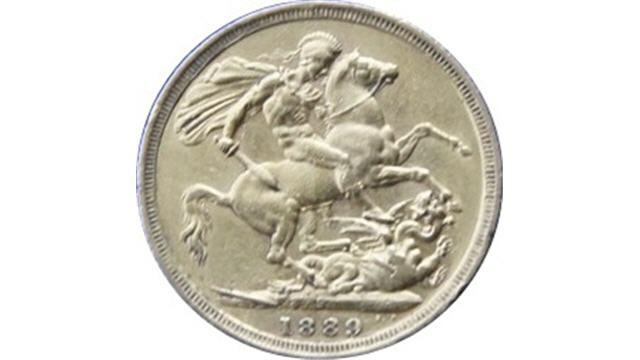 The size standardised at 38.61 mm and (silver crown) weight of 28.276g (1 oz). Although not in current circulation, the Crown is still legal tender. After decimalisation in 1971 the Crown was officially valued at 25 pence. 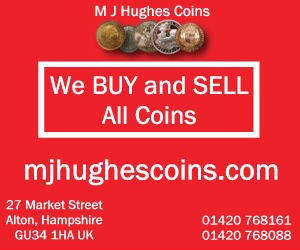 In the Eighties we had inflation which brought in higher denomination coins like the pound coin and the two-pound coin, so the Government decided that the crown needed to be restored to it former glory as biggest denomination coin and the crown was re-denominated to £5 in 1990. Today the Crown is once again made in silver and gold, usually to satisfy collectors and investors. 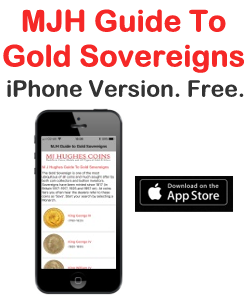 There is a little confusion with this as there are Gold Crowns which are worth £5 and another five-pound Gold coin from the sovereign family – see the article on Gold £5 Coin or Gold Crown? For specific coins see the main index at Crowns. GB . QV . 1889 . Crown . With Heavy Silver Frame. Nice Coin. New One-Pound Coin Production Hits One Billion: It’s time to get rid of the old pound coins.